Kevin Devine’s 7-inch series returns March 30 with Devinyl Splits No. 7, featuring Craig Finn & the Uptown Controllers on side A, backed with “Kuala Lumpur,” Devine’s first new song since the release of his 2016 LP, Instigator, on side B.
Craig Finn & The Uptown Controllers contribute “Galveston,” a song in which the weaving, narrative writing style that has defined Finn’s career to date is on full display. Finn, also known for his band the Hold Steady, released his third solo album, We All Want The Same Things, a year ago this week. 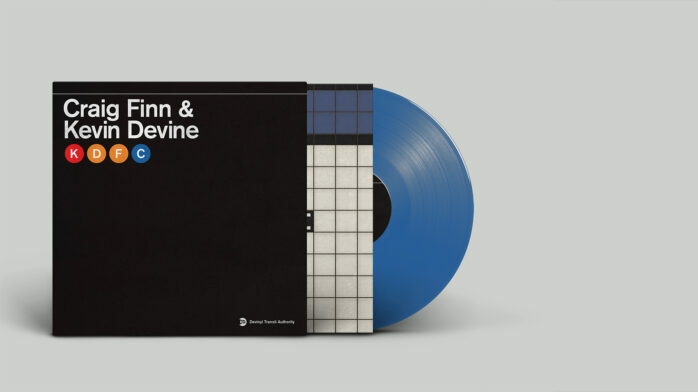 Devine has busy lately; last October, he released We Are Who We’ve Always Been, an acoustic reimagining of his Instigator album. Both of these new songs can be heard below. Despite its March 30 release date, the new 7-inch’s tunes will arrive in buyers’ inboxes before the release date, which is pretty cool. “The records are in hand, and will ship on time,” said nobody ever… except us, right now. Go ahead and pre-order Devinyl Splits No. 7 here.